Posted on October 23, 2014 by Lena K.
Unfortunately, since I don’t have as much time on my hands as I used to have, I’ve only started watching a few shows this season. Nevertheless, I’d still like to give my opinions on these shows, so let’s start right away. Since I just finished watching Fate/Zero like a week ago, I was planning to re-watch the first season anyway, which is why this anime came right on cue. 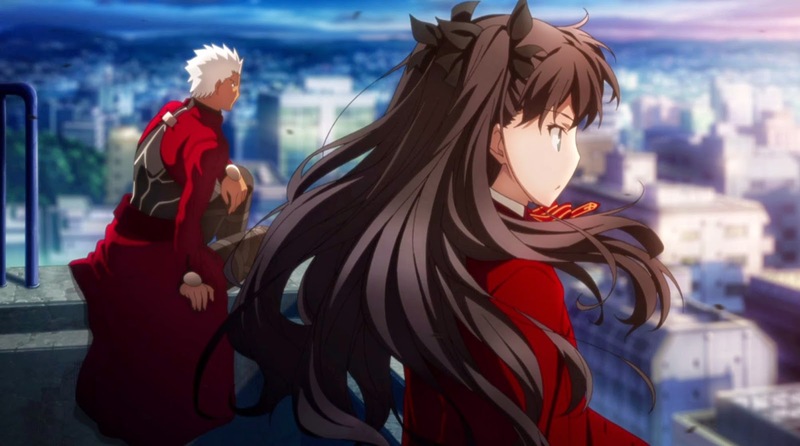 It’s seemingly not exactly the same story as the first anime, Fate/Stay Night, since it tells the story from different perspectives. But this is all the better, even. So far, I’m really enjoying this anime, and I can honestly say that the quality of the animation and especially the fighting scenes, make this an awesome watch already. Out of all the shows this season has to offer, what I was looking forward to the most was this new season of Psycho-Pass. So far, this season looks really promising, but that was to be expected. Despite the fact that I started out with two really great shows, I have to admit that out of all the shows that I started watching this season, this is my favorite. Kyoto Animation rarely fails to please, but after reading the description of this one, I wasn’t expecting that much. However, even after just the first episode, I completely changed my mind. So far, this show is amazing in its own ways. It’s entertaining, has nice humor, and I really love the characters, even the narcissistic male lead. That’s a huge surprise actually. This one more or less appeared out of thin air. I wasn’t expecting to see a yuri show this season, but the description of Girl Friend Beta tries to prove me otherwise. I mean, having the male main lead completely erased from the story only leaves a female cast for a harem show that’s tagged as romance. Sound suspicious, huh? People online have already started assuming this to be a pure yuri show, while I just try to stay put and wait for something to prove this to me. I somehow can’t see this becoming a pure yuri show. Some undertones will undoubtedly be there, but I believe that that’s about it. I can’t really judge it after having seen just two episodes, but so far, this show seems unbearably boring to me. Maybe the underlying problem here was that all we saw during the first episode was basically 20 minutes of endless character introductions. Let’s hope that it will get better in the next episodes. So far, I don’t like it that much. Hmmm. I’m not sure what to think of this one yet. Do I really want to continue watching? I really don’t know. The first episode was kind of interesting, but kind of boring too. I’m really having mixed feelings about it, which is why I will let my impression of the second episode decide whether I’ll keep watching it. I only started watching this anime, because some of my friends recommended it, but so far, I can’t really see why they did so. I have to admit it’s entertaining, and the characters are at least, to some degree, interesting to watch, but it’s somehow nothing special so far. I guess I won’t drop it so easily, but it’s definitely not one of my favorite shows. Other than these shows, I’m still watching Akame ga Kill and Sword Art Online II from the summer season. I’ll probably say a little more about these two in my Final Thoughts post at the end of the season. 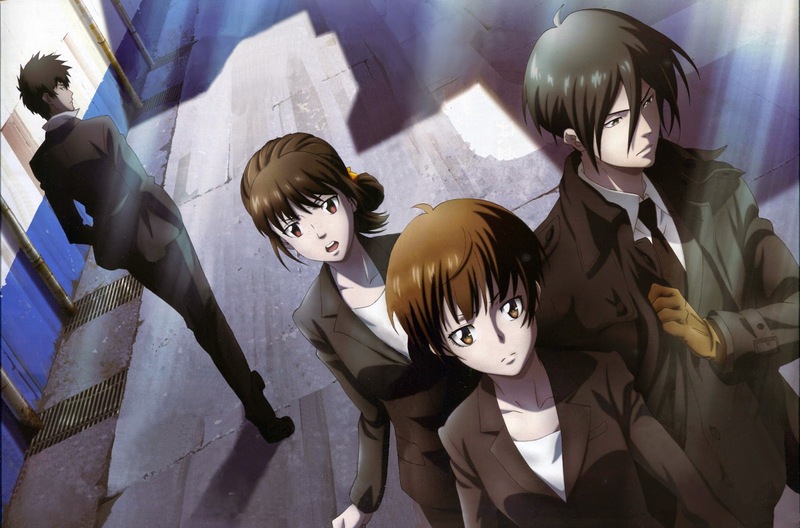 This entry was posted in 2014, Anime, First Impression and tagged Psycho-Pass by Lena K.. Bookmark the permalink. Maybe give Yuuki Yuuna a try? Magical Girls with cellphones. An era of Gods in modern real-world look alookalike. About 12 episodes to air. Protagonist female is very friendly with her Wheelchair best friend. No male focus. BGM sound good. I'm not really liking this season that much. The summer season spoiled me with all those good shows. At least Akame ga Kill! is getting really good. 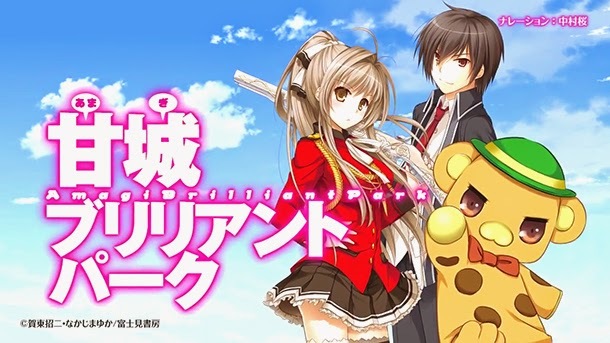 Yay for Amagi Brilliant Park. And you might like Parasyte. It's so bad it's good. The best part? Hanakana :). not to forget some fantasy action features too. 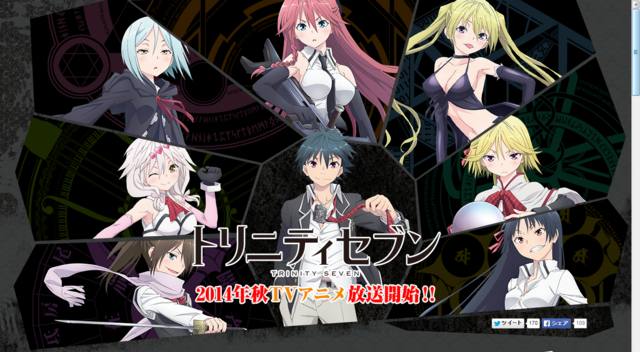 this season is great so far, im definitely loving psycho-pass 2 and i so agree we need more shion and yayoi moments, im also loving trinity seven and a lot more other animes. also i think someone already mentioned it but have you tried parasyte its really good also hanakana!!!!!!! she's in so many animes this year its so awesome that i love it. Magical Girls with Smartphones I mean/. Since it wasn't in your impressions of Autumn anime, I was going to mention about “Cross Ange” anime which has a tiny bit of yuri in it after watching the first two episodes but then I realized from the opening that there are plans to add a brown-haired male main character to be a “partner” of the protag Ange in the bishoujo mecha anime so I deleted that. Piano music in ep 2 is nice, but I def. don't like that male focus. Should mention that gory blood scenes and mecha is abundant. Watched the first 2 episodes of Parasyte and I'm not yet convinced. It probably doesn't, in any case, I found out by the 4th episode that the Yuri element was just a bonus (as a result of the mecha military only having females). I gave up on it. Took a look at this one already. I have to admit, it doesn't look that promising and the first episode was… well, it was ok I guess. You know i have a feeling the new girl has fallen for Yayoi. She blush when yayoi talks to her. Seems like we can get a little bit yuri this time. It's the one thing that all Yayoi x Shion supporters try to hide. 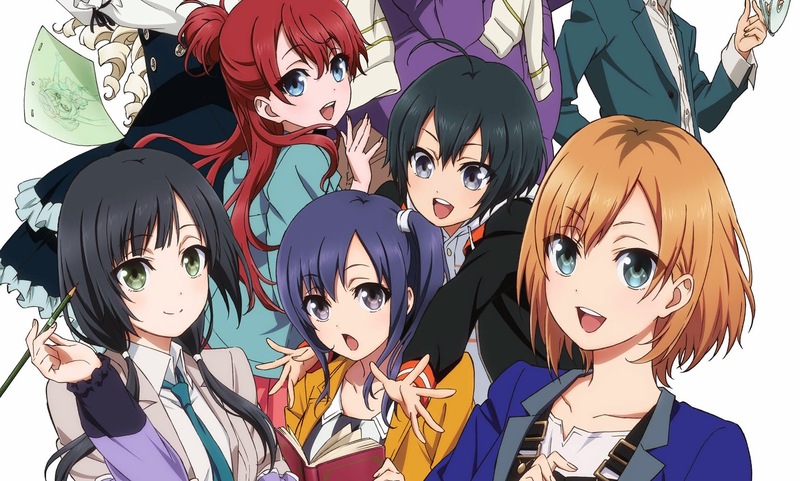 with Shirobako I agree completely its a cool show but for some reason it doesn't draw me in but I will keep watching. 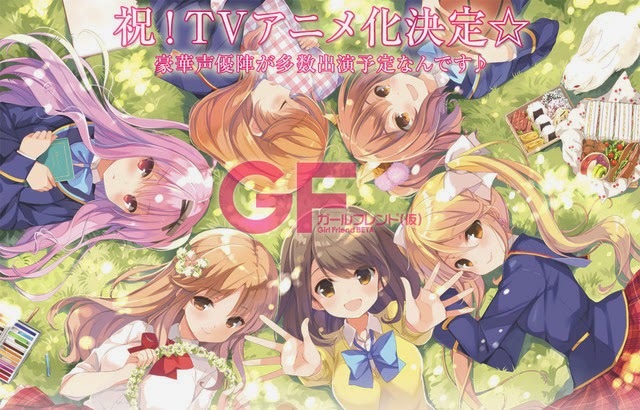 Girl Friends beta when i was scrolling through my anime website I was it pop up and I got VERY exited for a second seeing the title Girl Friends hoping it would be Morinaga Milk's GirlFriends but that was a lost hope 😛 the show still interests my quite a bit though for the fact of WTF is this going to be so i'm looking forward for it. Haha if Girl Friends would ever be made into an anime, this information will be all over my blog, my twitter and my tumbler. I didn't know that the new girl Mika appeared in season 1 as a student of the Oso Academy (and that Division 1 solved the case and that yayoi and she hugged afterwards!! )She was probably in love with her childhood friend Kawarazaki.”When Shimotsuki learned of Kawarazaki's death, she cried and said she had something she wanted to tell her, presumably that she loved her.” I was a bit surprised because I couldn't remember her at all and thought she is totally new character, but this sounds promising and I hope that we can get a little yuri. Ok, that is new to me, thanks for the explanation. So Cross ange is not going to have Yuri? If not then they actively tried to remove yuri from the show? I wait until the anime are done airing before watching, so i have no idea how any of the shows are. I wish I could tell you, but since I don't hear much from it, I doubt it has any yuri. if i never watched fate stay night but fate/zero should i watch fate/kaleid or will i not know some of the characters or back story. I know fate/kaleid it a side story but does it require knowledge from fate stay night to enjoy. I think you can watch Fate Kaleid even without having watched any other of the shows this is based on. But I'm not the right person to ask here, since I just watched like 3 episodes before dropping it again. Just ranting: I don't stray into male-protagonist-centric shows often , given my yuri habits, but I went and decided to watch SwordArtOnline II's last 5 episodes (19-24) because I saw something on twitter about an Asuna x Konno Yuuki pairing. gotta say that I like the last 5 episode arc (“Mother's Rosario arc”) tho I put on my yuri goggles pretty tight here. Still, it was mostly close friendship between girls and chara development stuff. I ended up watching only those 5 episodes and really liking the Konno Yuuki girl. The ending was too sad, even if it ended on a supposedly happy note. Can't say much about the subtext cause that would be a spoiler. But these last 5 episodes made me feel that Yuri and subtext in “mainstream” shows is treated pretty abusively, if not well (other example of what I mean: Inari KonKon's yuri crush ending). I usually try to stay away from harem anime, though I started watching the first season of Sword Art Online without knowing what might happen. As it turns out, it's of course a harem show but that doesn't really keep me from watching it. It's still awesome and even if it wasn't done that well, I still liked the yuri undertones in the last arc. Wixoss Spread/final season just ended. Selector Spread WIXOSS opening in perfect piano play I found on youtube. I wish I was that musically-awesome to play a piano.